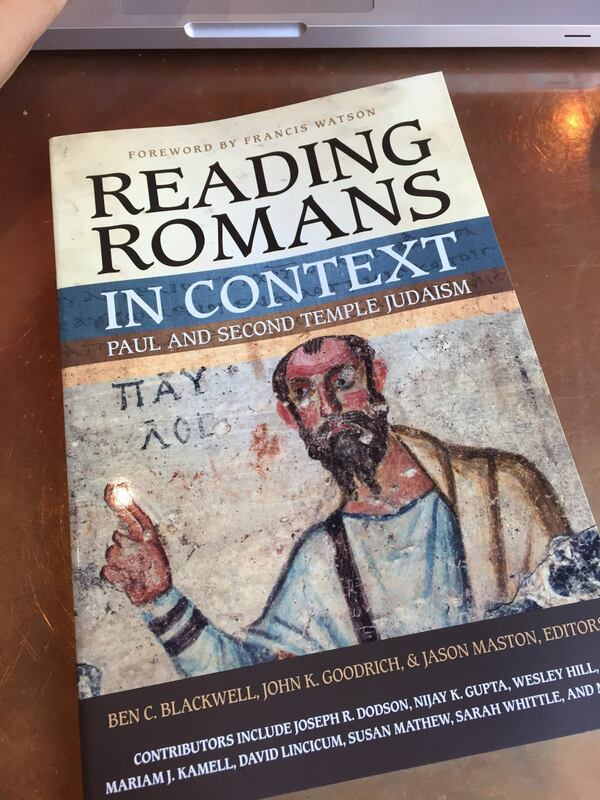 Just got my copy of Reading Roman in Context in the mail. This is a well-designed new textbook that puts Romans in context and conversation with several second temple Jewish texts. Three things you should know about it. #1: It has several contributors, many of whom were my fellow PhD students at Durham. It is nice to get the perspectives, interests, and writing styles of each of these contributors. #2: It is short enough to work very well as a supplemental textbook in a NT intro course, backgrounds/context course, or an exegesis course. #3: It’s super affordable ($12 on Amazon)!